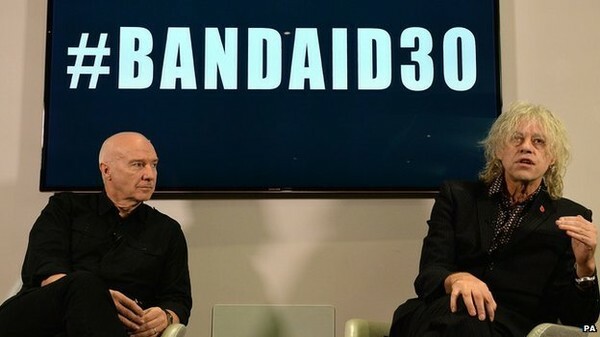 "One Direction, Ed Sheeran and Elbow are among the acts who will take part in a fourth version of the Band Aid charity single, Do They Know It's Christmas. He added that decisions about which artist will sing which lines are not going to be taken until Saturday's recording session in London, while both musicians advocated purchasing the physical format." 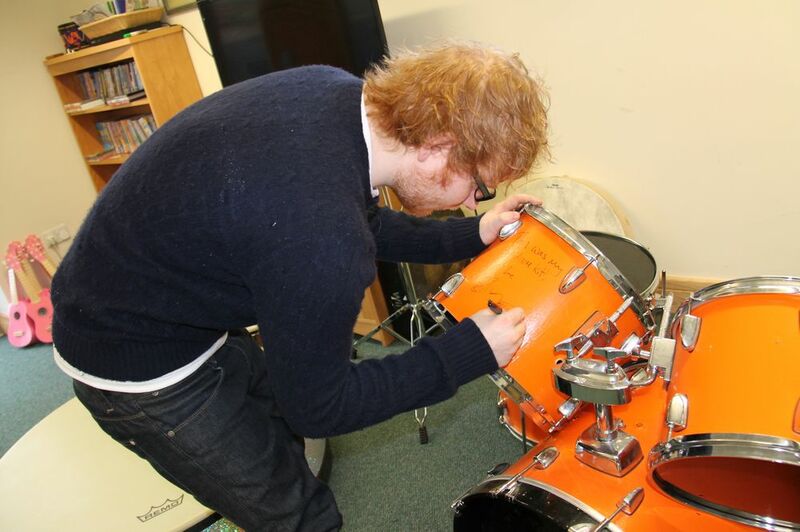 The two then shared a special moment, when she presented Sheeran with a ring and he accepted her proposal — one of her very last wishes. 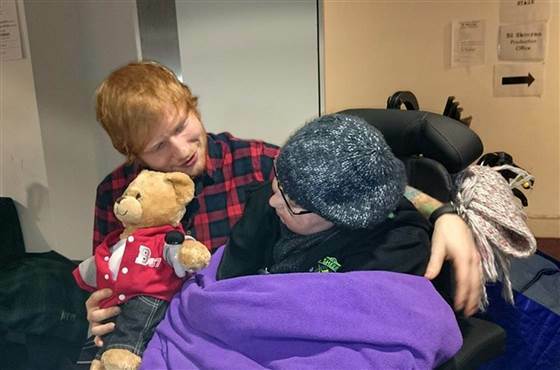 Papworth died on Friday, Nov. 7, according to the charity that helped arrange the meeting between her and Sheeran. Papworth was first diagnosed with a malignant brain tumor at the age of 11, according to Cook. After the tumor spread to her spine, she underwent surgery, radiation and chemotherapy over a period of 18 months, which left her temporarily unable to speak or walk. She recovered in her early teens, Cook said, and remained cancer-free until November 2011, when the cancer returned in her spine. 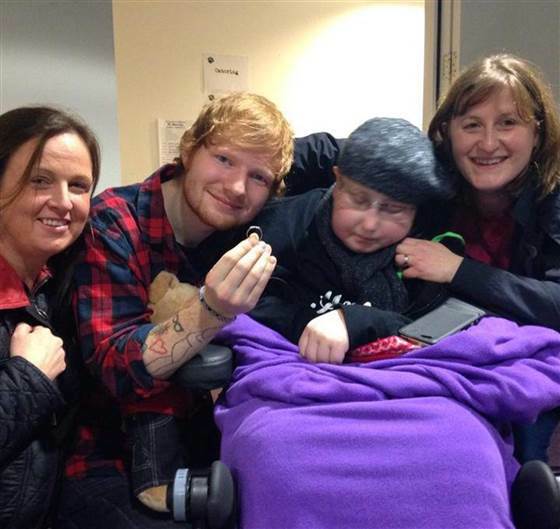 As Papworth was a huge fan of Sheeran, her mother Tricia bought tickets for them to see his concert last year. But as the teen's condition worsened, Tricia reached out to the DreamMaker Foundation to see if they could help fulfill a fantasy of her daughter's. 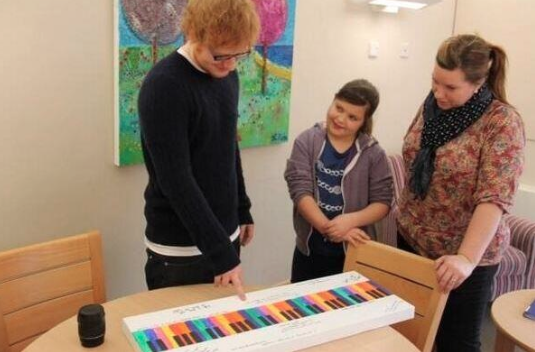 "Katie's idol is Ed Sheeran," Cook said, "so when Katie deteriorated, Tricia contacted us to ask if we could make it happen for her to meet Ed and propose." The foundation happily obliged. 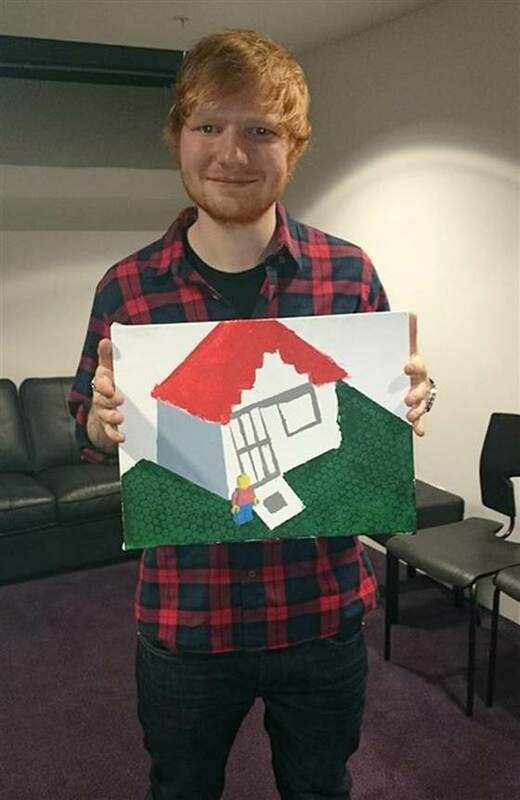 "Our Katie proposed and he kept her ring and a Lego House painting she had done for him," Tricia said after the proposal, according to Cook. "Sometimes it's hard to reach her but she gave genuine smiles tonight." 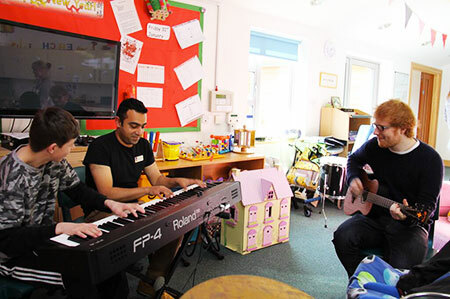 The Les Hoey MBE DreamMaker Foundation is a small Scottish charity that works to make dreams come true for children with life-threatening illnesses. 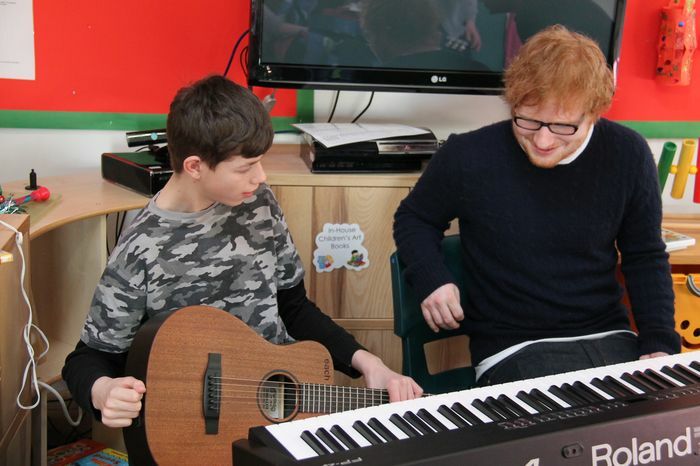 "We can't thank Ed Sheeran and his fantastic team enough for helping us with this," Cook said.